Welcome back, Roseanne – I don’t agree with your voting choices, but your sitcom choices are sublime. 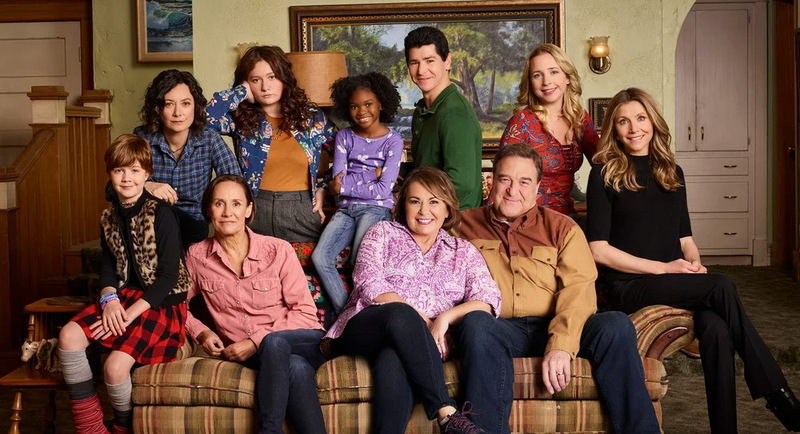 Network Ten is about to premiere the new series of Roseanne (9pm, Monday April 30) and let’s hope it brings them the same success it has had in the US. Let’s face it, Ten could do with some extra ratings points. 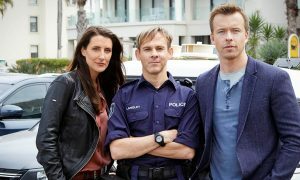 And they could also do with some new content, especially since they are playing the much-repeated movie Pretty Woman (last seen on Seven) at 8.30pm this Monday. Back in 1990, when Pretty Woman was the number one movie, Roseanne was the number one show on TV. Now, Roseanne is a massive ratings hit all over again – and it’s still a magnet for controversy because some viewers are mortified that the character of Roseanne Connor is a Trump supporter, just like Roseanne Barr is in real life. One gay journalist even went so far as to pen an article that this would stop him from ever watching the show again. Oh dear, what a short memory some people have. To recap, Roseanne has always been outrageous, divisive and teetering on the edge of batshit crazy. And being off the air for the past 20 years has not turned her into a different person. Has everyone forgotten those chaotic behind-the-scenes dramas with ex-husbands, sordid family revelations and the constant fights with writers, producers and network heads? Some comedy geniuses (like Jerry Seinfeld) get their work done quietly, but Roseanne – and she is a comedy genius – has always been in everybody’s face. But doesn’t it say a lot that the entire cast, every last one of them, has come back to work with her again? John Goodman has always been rock solid in defending her desire to make the best show possible, regardless of who on the crew might have been offended in the process. And now, in this post-Trump world, it is the viewers who are offended because a fictional character says she voted for the President. To take offence must mean nobody understands how comedy, or most television, works best. Great drama and comedy comes from conflict – but characters who agree with each other all the time get boring very quickly. Given how well we remember the Connor family, it makes perfect sense for Roseanne and Jackie (the brilliant Laurie Metcalf) to have had a falling out over the last American election. And it means both get to throw comedy zingers at each other, just as they did for the previous 227 episodes. And by the way, how can a gay journalist ignore Roseanne’s unbelievable bravery and tenacity in having multiple gay characters on the original series when most shows would barely include a token gay? To do that on American network TV back in the 1990s was really radical and Roseanne is still pushing boundaries this time round. The first episode features Darlene’s (Sara Gilbert, also an executive producer) gender fluid son and DJ (Michael Fishman) now has an African American daughter.. That may be confronting for some Trump supporters, drawn to the show because they think it is a safe space to feel some love for their President. And no doubt Roseanne must be chuckling about being able to challenge and educate them all over again. So, welcome back, Roseanne – I don’t agree with your voting choices, but your sitcom choices are sublime.